The is plenty of reasonably priced accommodation in Tomsk to meet your needs, with hotel prices soaring in the hot summer months, and dipping sharply as winter approaches. Those looking for budget accommodation in Tomsk will find several good options presenting themselves, such as the TGU Hotel on the Prospekt Lenina, which is not only good value, but is extremely central and also features dormitory style lodging. Another popular choice on the Prospekt Lenina that certainly won't break the bank is the Hotel Severnaya, although many of the rooms do share rather basic bathrooms, with squat toilets. 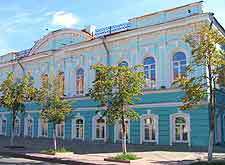 In you are prepared to spend a little more money on your accommodation in Tomsk, then you will find that the standard or lodging rises greatly. 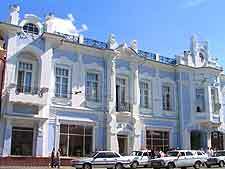 Good mid-range accommodation in Tomsk includes the Hotel Siberia, which is again on the Prospekt Lenina and actually comprises both the Sibir Forum and the Hotel Sibir. For a touch of history, the Hotel Magistrat on the Ploshchad Lenina resembles a palace and dates back more than 200 years, boasting luxurious guest rooms and an excellent restaurant. 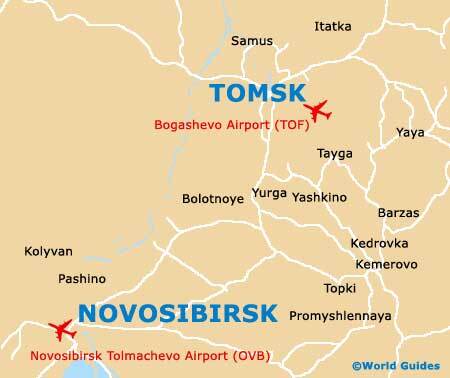 Don't overlook to Hotel Tomsk, which can be found on the Prospekt Kirova and has been recently updated, offering comfortable accommodation, if a little pricey. One of the most popular and best-value hotels in the whole of Tomsk is the BonApart, which stands on the Ulitsa Gertsena and features English-speaking staff, modern rooms with secure key cards, and a marble staircase.